Okay, so I've been wanting to review this book for ages, but have put it off quite simply because I want to do the book justice. You know when you come across a book and it just sticks in your head? This is definitely one of those. Sophia Amoruso is the founder and CEO of Nasty Gal, and basically a very successful businesswoman. She is the ultimate self-made success story and she didn't get there through sheer luck - something which definitely comes across in the book. If you've ever wanted to set up your own business, save money or simply want to get as far up the career ladder as you possibly can, '#GIRLBOSS' is definitely the book for you. Sophia describes her ascent into the world of fashion and business from start to present day, and it's really refreshing to see how this now-millionaire started out just like you and me, and still recognises that today. She's definitely a realist and I found a lot of the book not only helps you focus on furthering your career, but also if (like me) you struggle with saving money, with focusing on building your empire and so saving as much money as you can. There's a quote in the book - 'Money looks better in the bank than on your feet' (I think it goes like that) and it's so true - especially for a Primark-fiend like myself, who can spend hundreds on throwaway fashion, it's definitely opened my eyes up a bit and taught me the value of saving up. If you feel like you're in a bit of a career lull, or need a helping hand getting your focus in achieving your goals, I completely recommend getting this book. It will help you with interviews, planning your business, working on your brand and all the while is a really entertaining read. '#GIRLBOSS' leaves you really praising Sophia for her achievements, feeling inspired about your own journey and leaves you with a real sense of 'girl power'. I completely recommend it, and give it a 5/5. 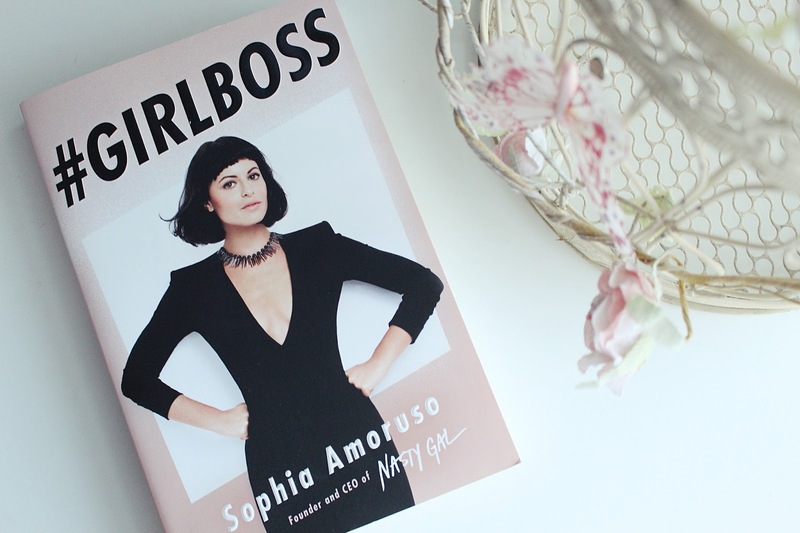 Have you read '#GIRLBOSS'? Let me know what you thought!